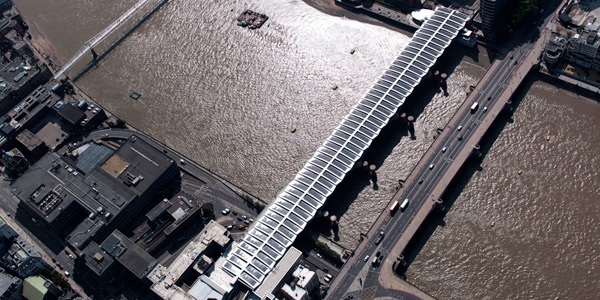 Work was just finished on the Blackfriars Bridge in London, which is now the largest solar bridge in the world. The renovation of the Victorian-era bridge was part of the larger modernization project for the adjoining Blackfriar’s railway station. The station has been fitted with 4,400 photovoltaic panels, which are expected to reduce the station’s CO2 emissions by an estimated 511 tons (563 tons) per year. 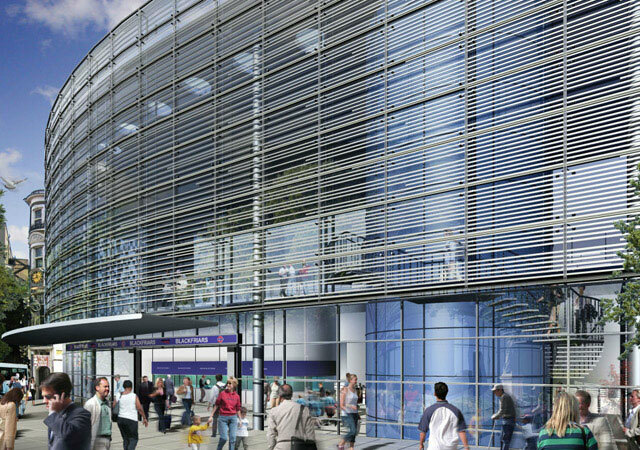 Work began in spring 2009 and the station was operationally complete in time for the 2012 Olympics, with the solar array installation complete in March 2013. The full refurbishment of the station is now also complete. The nearly 20,000-square-feet of new panels are intended to offset about 50% of the station’s energy costs. 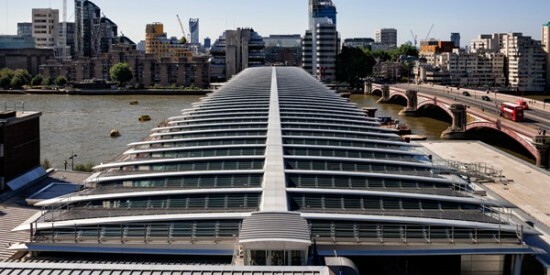 The adding of solar panels was part of a redesign for the Southfriars Station which includes a new entrance on the south bank of the River Thames, four new platforms and a improved Underground station. The station is a key part of the £6.5 billion (US$10.72 billion) Thameslink Programme, which aims to increase train capacity on one of Europe’s busiest stretches of railway running from north to south through central London.